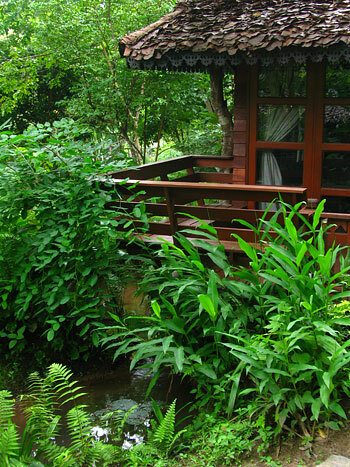 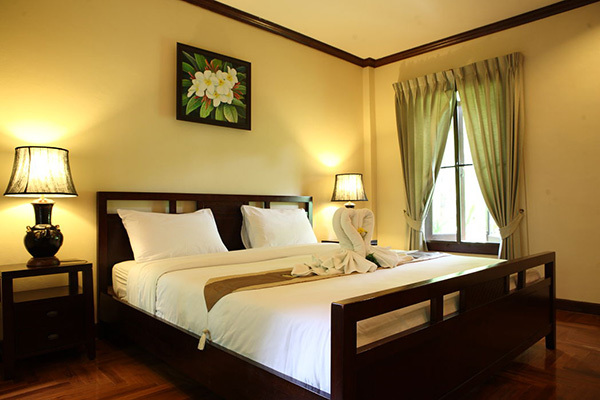 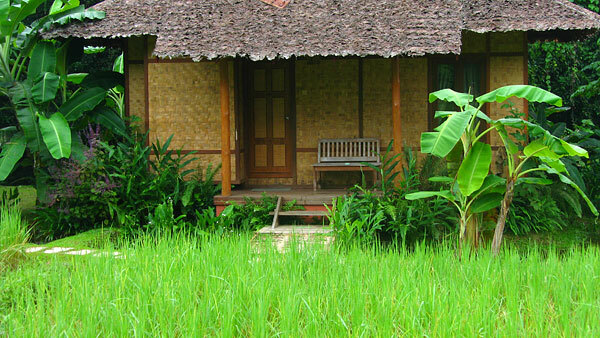 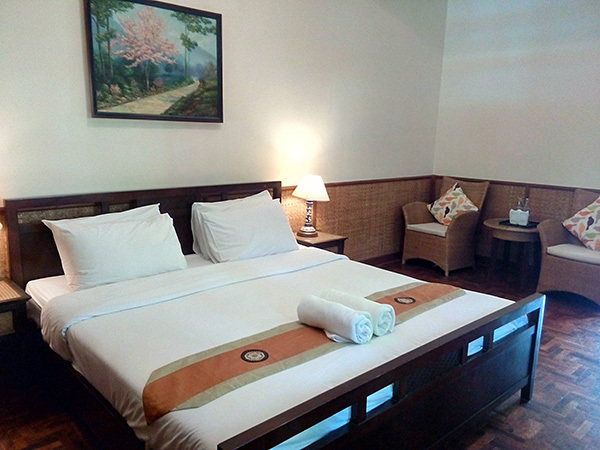 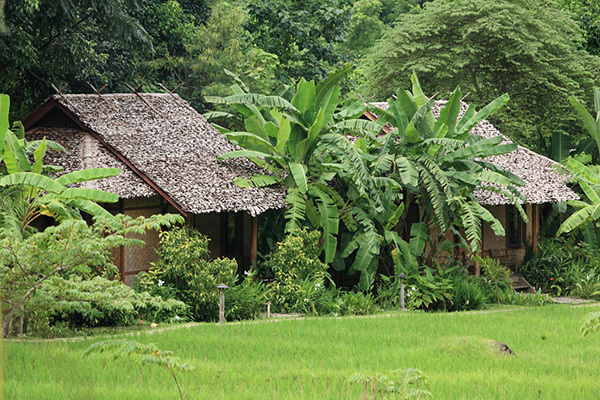 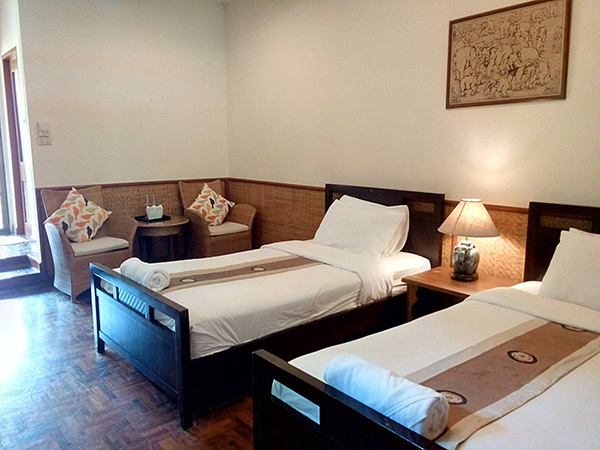 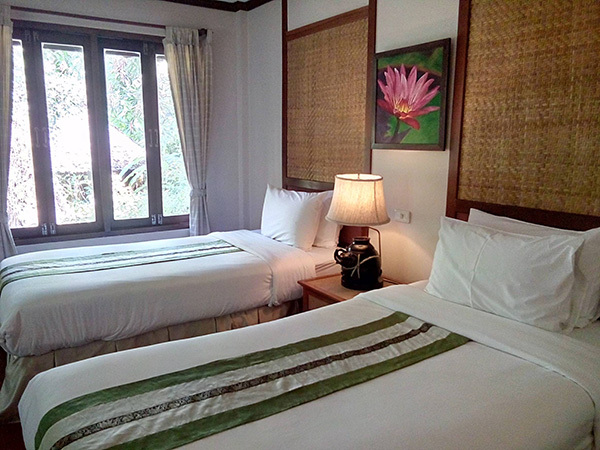 30 wooden bungalows are built in the local Shan style scattered on former rice paddies. 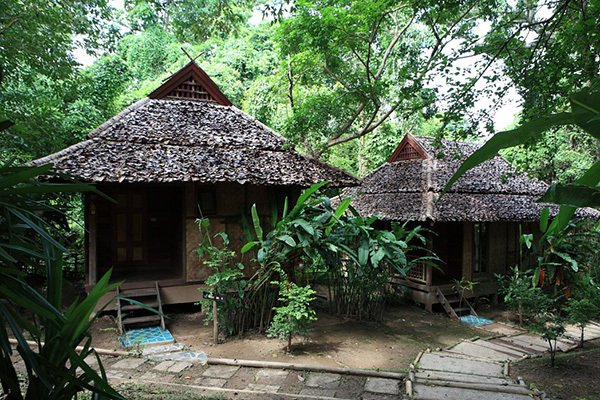 To let you be as close to nature as possible there is no TV and telephone in the rooms - here you can enjoy the sounds of the surrounding jungle, the floating waters and the relaxing atmosphere. Spacious and tastefully furnished, do our Deluxe bungalows provide a very comfortable accommodation! 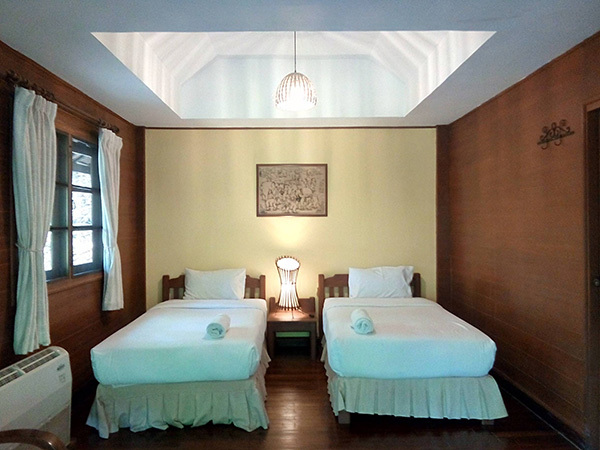 The interior design is a perfect combination of bamboo and teak, offering you a dressing table, chairs and a small table in the bedroom. 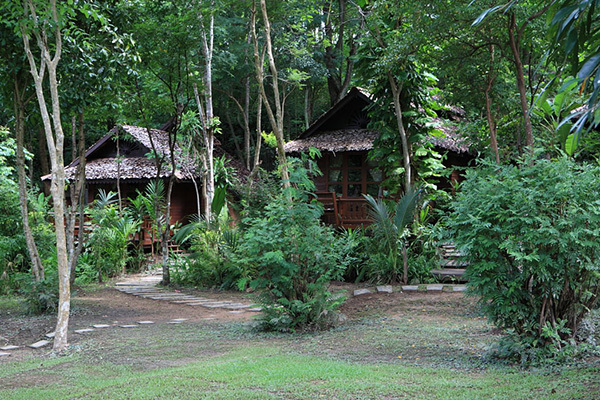 For everybody who is seeking the perfect hide-away in the middle of nature and still does not want to miss a luxurious accommodation, our Suite Bungalows are the perfect choice! 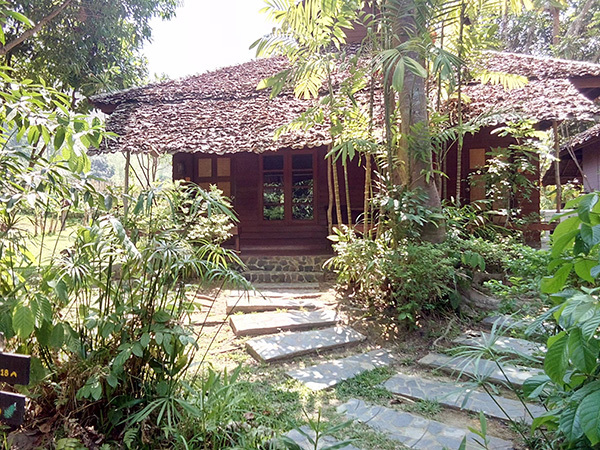 Built along the rice field, the private balcony facing the small creek behind, you are offered a very spacious bungalow with both fan and air-conditioning. 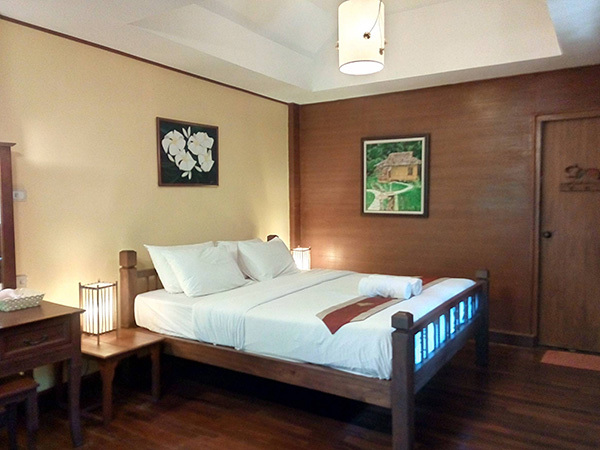 The teak floors and big window fronts give the tastefully furnished rooms the touch of exclusive living.